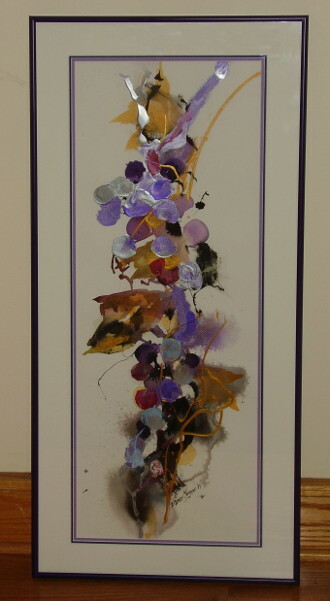 A vertical almost-abstract watercolor and acrylic on watercolor board, triple-matted, and in a narrow deep-purple frame. It measures 49″x25″, and is signed and dated by the artist. In memory of a beloved daughter-in-law.